You know nothing Jon Snow. Truer words were never said. But if this limited edition whisky is anything to go by, then his taste in alcohol cannot be faulted. The limited edition white bottle of Johnny Walker whisky has gone on sale for fans. 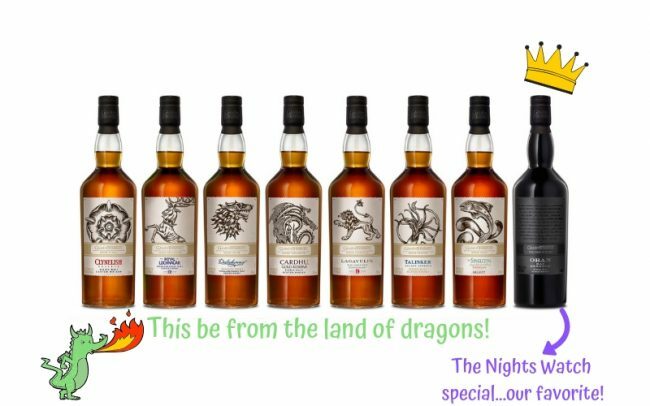 To savor while watching the upcoming eighth and final season of Game of Thrones. Renowned whiskey maker Diageo (the world’s biggest whisky producer) has teamed up with HBO to make this possible. Best way to have it is chilled? The makers recommend that you chill this bottle before enjoying it. Apparently there is a surprise on the bottle once it is chilled. The collectible bottle has been selling quick. A bottle a minute in the UK since it launched in October 2018. 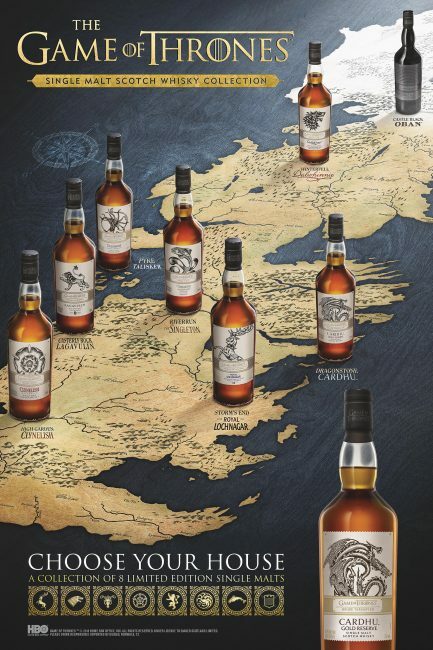 The Game of Thrones Whisky isn’t just the proverbial ‘old wine in a new bottle’. It is a new blend which features single malts from Cardhu and Clynelish, one of Scotland’s most Northern Distilleries. An area where whiskies have endured long Scottish winters. Another reason that those who believe ‘Winter is Coming’ will definitely want to get one as soon as possible. A unique, limited-edition whisky created by whisky specialist and blender George Harper. The inspiration being the white walkers from the Game of Thrones series. The special blend has notes of caramelized sugar and vanilla, fresh red berries with a touch of orchard fruit and is best served chilled. The Night King would have it no other way. For die-hard game of thrones fans though, it gets better. Diageo has also released a collection of single malt whiskies at the same time. Eight scotches that are all new to the U.S. are released. 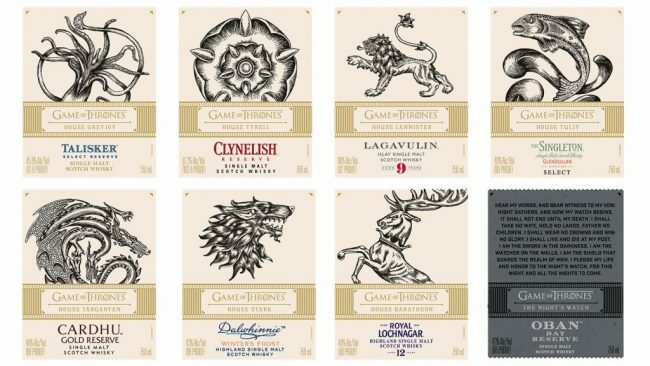 Each paired with one of the iconic Houses of Westeros. 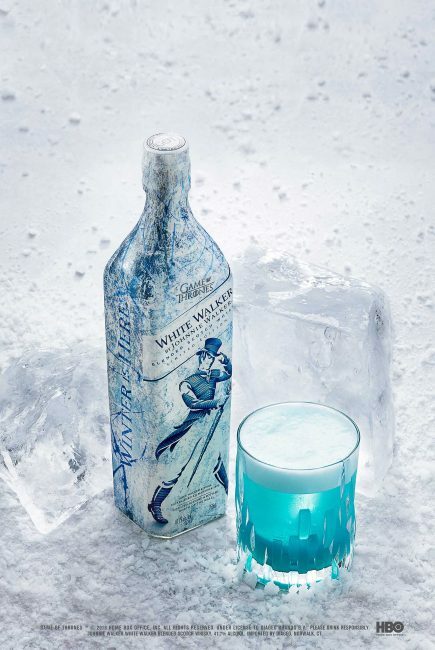 Plus one for the Night’s Watch, giving fans an authentic taste of the Seven Kingdoms and beyond. Fine! where do I get them from? The full single malt collection available here. You can even buy them individually if you look around on this site. Meanwhile Tyrion has already gotten started – don’t you want to join in?